Nitric oxide (NO) is an important signaling molecule that acts in many tissues to regulate a diverse range of physiological and cellular processes. It’s role was first discovered by several groups who were attempting to identify the agent responsible for promoting blood vessel relaxation and regulating vascular tone. This agent was termed endothelium-derived relaxing factor (EDRF), and was initially assumed to be a protein like most other signaling molecules. The discovery that EDRF was in fact nitric oxide – a highly reactive gas – has led to an explosion of interest in this field, resulted in over 60,000 papers published in the last ten years and won the Nobel prize in 1998. Nitric oxide has now been demonstrated to play a role in a variety of biological processes including neurotransmission, immune defense, the regulation of cell death and cell motility. To gain muscle you must train hard. Intense training sessions require an abundance of energy, yet we all have our days where we feel fatigued either prior to, or during our workouts. If fatigue is an issue, a nitric oxide supplement can help you. Nitric oxide helps to deliver oxygen to hard working muscles. Because of this, you will not only be able to train deeper into sets, but also deeper into grueling workouts. Nitric oxide allows you to train longer and stronger, and in this sense, works as an energy booster. Everyone wants to keep bodyfat levels to a minimum. Whether you are trying to cut fat and hold on to muscle, or build muscle while minimizing fat gain, you want to keep your metabolism running as fast as possible. 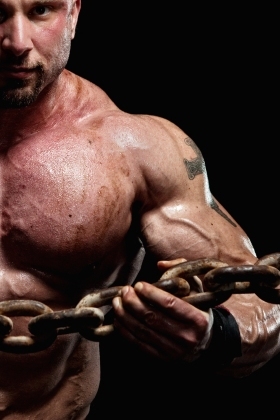 A nitric oxide supplement will help you in the battle against fat. Not only does nitric oxide give you an energy boost, helping you to train longer and more effectively, but it also encourages the body to burn body fat as fuel. A study in the American Journal of Endocrinology and Metabolism revealed that 9 subjects supplementing with L-arginine (a nitric oxide precursor) had more glycerol and an increased concentration level of nonesterified fatty acids. These factors indicate a potential to burn more fat. Proper recovery is key to building muscle and maximizing athletic performance. When it comes to recovery, you will want all the help you can get. Life doesn’t always cooperate; stress and lack of proper sleep can impact how fast you bounce back during and after a workout. Nitric oxide improves blood and oxygen flow to the muscles, allowing faster delivery of muscle repairing and fatigue reducing nutrients. Cells will be able to get what they want, when they need it. A nitric oxide supplement will assist you in bouncing back, and prep you for the next workout to come.